Historically, bladder cancer patients are at high risk for disease recurrence and progression,1 which could be due in part to missed tumors and incomplete surgeries because not all cancerous tissue is easy to see under white light. Moving forward, with the availability of Blue Light Cystoscopy with Cysview, that trend may shift. 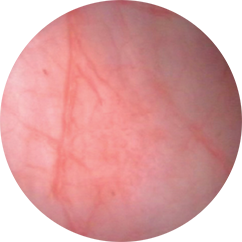 1About one hour prior to a cystoscopy, the bladder cancer patient has about 2 oz of the Cysview solution placed into the bladder via a catheter. 2No less than one hour later, the urologist conducts the cystoscopy procedure to examine the bladder, first under white light to observe anything suspicious. 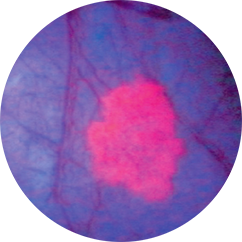 3Then, when the urologist switches to blue light, the Cysview causes tumors to glow bright pink, thereby making easier for the doctor to remove affected areas. This short animation shows an example of a patient experience with Blue Light Cystoscopy with Cysview. 1 Sylvester RJ et al. Predicting recurrence and progression in individual patients with stage Ta T1 bladder cancer using EORTC risk tables: a combined analysis of 2596 patients from seven EORTC trials. Eur Urol. 2006; 49: 466-467. 2 Sievert KD, Amend B, Nagele U, et al. Economic aspects of bladder cancer: what are the benefits and costs? World J Urol. 2009;27(3):295-300.